This aversion to “No” leads to bad outcomes when the avoidance drives poor decisions and worse performance. 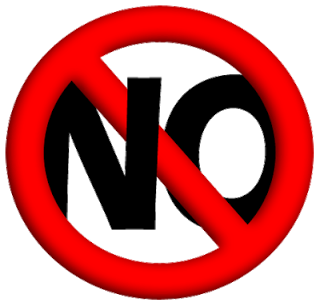 It is important to change the frame of reference and see that saying “No” is in many ways an affirmative statement. This seemingly contradictory outcome results from the fact that almost always the rejection of a suggestion or proposal is in fact the affirmation of a different priority or a better solution. By saying “No” you are affirming that another line of action is more important. This is particularly the case in pursuing business objectives where longer term achievements meet a stream of possibilities day-to-day. Many appear interesting and may even be productive in and of themselves but do not contribute to the longer term goals. In these situations it is very important to say “No” and in the doing affirm that the longer term strategies and goals are key. Peter Drucker noted “The reason why so few executives concentrate is the difficulty of setting “posteriorities” — that is, deciding what tasks not to tackle — and sticking to the decision.”((1)) It is not possible to be effective, to achieve your desired objectives without definitively not taking on many tasks that the day-to-day flood of our work environment thrust on us. Further, when the leader says “No”, the rest of the team is affirmed in the priorities already set, the strategies and tactics being deployed. This entry was posted in Change Management, Effectiveness, Integrity, Strength and tagged Drucker, effective manager, management skills, strength, The Effective Executive by Mark Orton. Bookmark the permalink.